Personalization or Scale? Now you can have both. On average, shoppers ignore 99.3 percent of all products inside a store. Ensure that your brand is among the 1 percent that gets noticed—and purchased—with personalized digital media solutions from Catalina. We target consumers with the right behavior-based message when it’s most impactful, via the digital channel that’s most likely to reach them—mobile, online, and in the store. With the world’s largest shopper purchase history database driving all personalized media across our networks, we drive lift and loyalty for the world’s leading CPG brands and retailers. Drive topline lift of 1 percent or more by engaging your most loyal shoppers with the only digital network that spans mobile, online and in-store networks. Boost consumer loyalty, drive efficient volume, and increase market share. Engage your best consumers via mobile, online and in-store with the largest addressable media network for CPG. 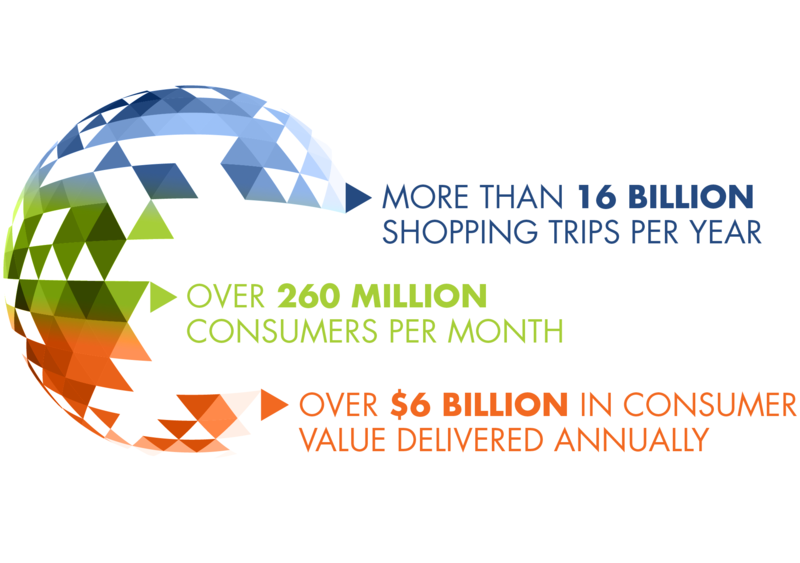 Reach over 260 million shoppers with hyper precision. Maximize your next campaign by partnering with the CPG experts. With the world’s largest database of shopper history and leveraging two years of purchasing insights, we know when they buy it, how they buy it, and where.